We haven’t actually heard anything about Olivia Munn’s role as Psyocke since it was confirmed a month ago that she will have purple hair, but this is a nice update. Posted on Olivia Munn’s personal Instagram, this clip shows that the actress has been training hard for her performance – and that all of her training is paying off. For those unfamiliar with the comics, Psylocke - real name Elizabeth Braddock - is a mutant who has been known to have both telekinetic and telepathic abilities. She is an excellent fighter, and is incredibly skilled with a real sword/katana, but she is also able to manipulate psionic energy to create weapons, and is in particular known for creating swords and knives. As such, you can understand why it was important for Olivia Munn to develop some blade skills. X-Men: Apocalypse actually won’t be the first time that Olivia Munn has been in a comic book movie, as she has a blink-and-you’ll-miss-it appearance in Jon Favreau’s Iron Man 2, but her performance has Psylocke should be unlike anything we’ve seen from her before. She’s clearly working hard, and we can only hope that her efforts will be reflected in what winds up on the big screen. 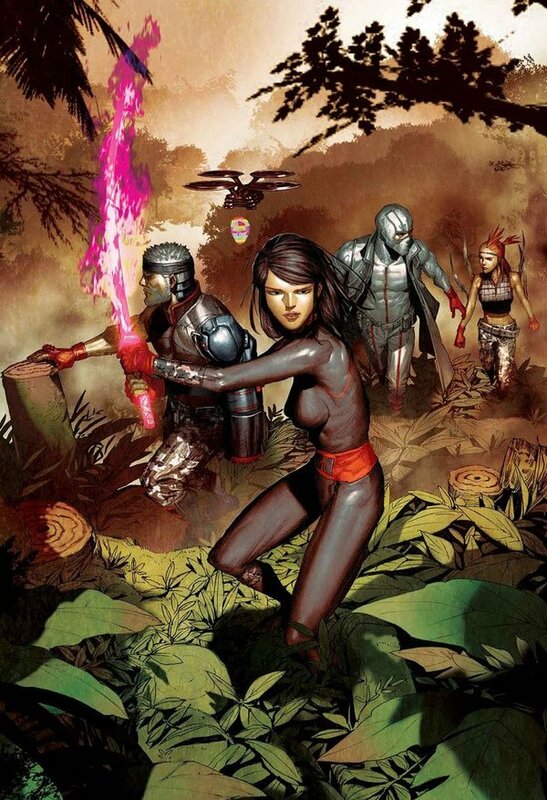 At this point, not much is known about Psylocke’s role in X-Men: Apocalypse, and the truth is that she will be competing for screen time with a packed ensemble. Joining Olivia Munn in the 2016 blockbuster are returning stars James McAvoy, Michael Fassbender, Jennifer Lawrence, Nicholas Hoult, Evan Peters, and Rose Byrne, and franchise newcomers Tye Sheridan (as Cyclops), Alexandra Shipp (as Storm), Sophie Turner (as Jean Grey), Kodi Smit-McPhee (as Nightcrawler), Ben Hardy (as Angel), Lana Condor (as Jubilee) and Oscar Isaac (as Apocalypse). The movie is currently in production up in Montreal, Canada, and will be in theaters on May 27th. Here's what we know so far about X-Men: Apocalypse.